Olive is an indispensable food for our tables, both as fruit and oil. It appeals to the taste buds of many people, thanks to both its benefits and its flavor; many people keep olives and olive oil in stock. In addition, its oil is used in many beauty and personal care products, not just in the kitchen. The earliest evidence for cultivated olive trees goes back to 40,000 BC, when excavations on the Island of Santorini took place. However, the question of when the first olives were harvested for human use has no definite answer. Let’s go back a bit further and listen to the story of the olive tree as found in mythology. Zeus, the head of the gods in ancient Greece, promised that the god or goddess who gave the most precious gift to man would be the emperor of the newly established city. Poseidon, god of sea, and Athena, goddess of wisdom heard this news and entered into a great competition. Poseidon created the magnificent “Horse” which would lead people to unexplored, remote lands; Athena created the “Olive Tree” to be a source of fertility and life for mankind for centuries to come. Only one of these gifts presented to the people proved more precious, and the city acknowledged that olives were indeed a source of fertility. Then, in honor of Athena, the newly established city was given the name “Athens.” Thus, the olive we use today, in almost every facet of our lives, was sent to the Earth as a gift. Olive is an indispensable food for our tables, both as fruit and oil. The olive tree grows in geographic areas which generally have low altitudes. 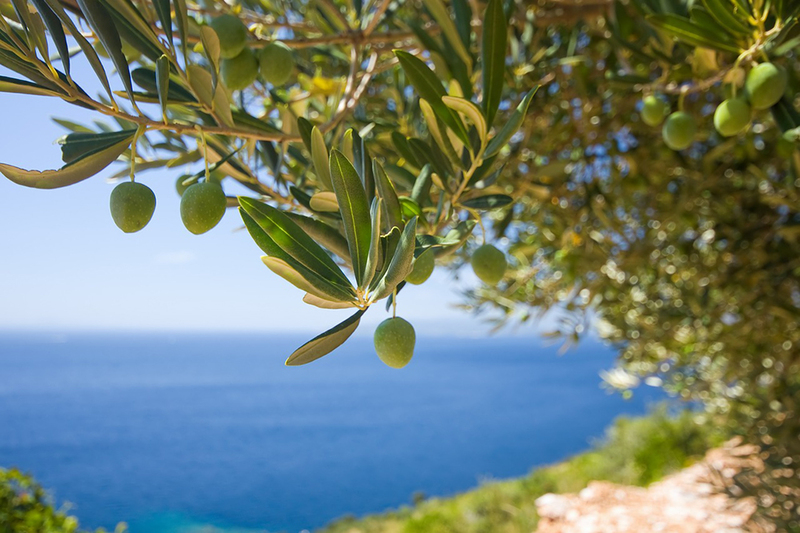 However, olive agriculture can be done as high as 1000 meters above the sea level. In Turkey, olives are known to grow at 800 or even at 1000 meters. Olives grow most efficiently below 400 meters. A suitable climate to grow the olive trees is warm summers and mild winters. Olive loves water, but it is also resistant to thirst and drought. Even if it is not equally efficient, the olive tree succeeds in adapting itself to the climate of any region. The olive tree’s biggest enemy is frost; it dies at -12°C. The olive tree is called the rich tree of the poor land. When the tree is watered, its yield increases. When water is inadequate, it produces a small-wrinkled grain. Olive tree grows well on plateaus and hills and are the foundation for plenty of products. In such places, the oil rate is also high. It grows most efficiently below 400 meters. The story of the olive wins our hearts. But in which parts of Turkey are olives grown? Olives are produced in the Aegean, Marmara, Mediterranean, and Southeastern regions. Among the world olive producer countries, Turkey is ranked 4th in terms of volume of trees and 6th in terms of area or extent of production. Thus, Turkey contributes 8 percent to the world’s olive oil production. Turkey falls into second place in table olive production after Spain, and Turkey ranks first in consumption. Marmara region’s share of Turkey in terms of tree ownership is 10 percent. Olives are raised intensively in places such as Ayvalık, Mudanya, Edremit Gulf, Orhangazi, İznik, Gemlik, and Yalova. The Akhisar province of Manisa in Aegean Region is the largest olive and olive oil producer of Turkey with 12 million olive trees. Edremit and Aydın are the producers for the oil industry while Bursa and Gemlik lead for olive agriculture. Even though the most productive olive region is the Mediterranean, the production rate is low here because the Mediterranean coast is divided among a variety of agricultural cash crops. In optimal conditions, an olive tree fruits 5 to 6 years after planting. It takes 20 years for the olive tree to reach its maximum fruit production and the yield increases gradually. The period of 35 to 150 years is the maturity and full yield period. When the olive tree gives produces abundantly in one year, it rests in the coming year, fruiting with reduced efficiency. The tree basically alternates in terms of more or less product. This is called periodicity. Consider “the year of existence” and “the year of disappearance” in folk expression. The harvest time is festive even if it is tiring. The olive tree hardiness is based on the oleuropein substance in its leaves. This ingredient protects the trees from diseases and other harm. In addition, Calcium elenolate, another protective substance produced in the leaves, helps destroy harmful viruses, bacteria, and fungi. The olive tree has leaves in summer and winter. If they do not suffer from disease, the leaves will live on average for 18 to 30 months. Leaves that are replaced instead of spills are durable. 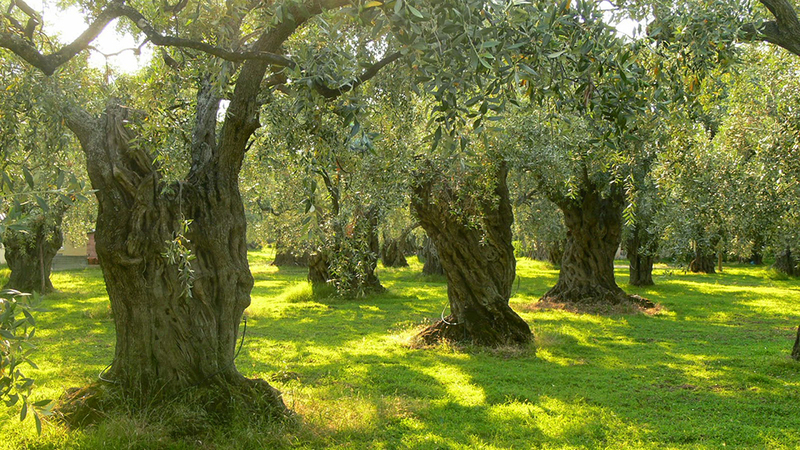 Therefore, olive trees do not drop leaves, and they look green year round. The leaves have a high chlorophyll content that gives them a small, round or slightly long and fleshy, dark green color. The olive leaf is about 5 to 6 centimeters long and the middle part is 1 to 1.5 centimeters wide. Olive leaves have been used in therapy since ancient times. They offer natural antibiotic and antioxidant properties. 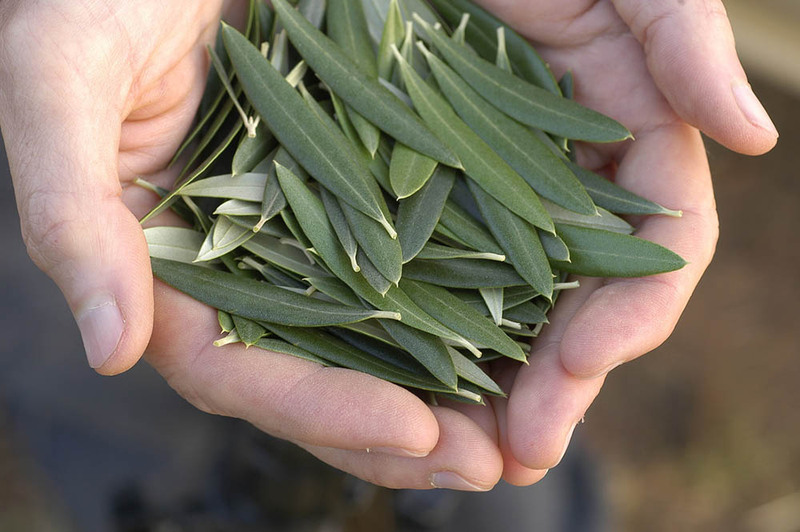 Olive leaf essence (extract) is obtained from leaves of olive tree by physical and chemical methods. This essence is leaf green with a dusty appearance. This essence, together with pure compounds, provides 250 micrograms of vitamin A, 40 micrograms of selenium, 250 milligrams of vitamin C, and 20 milligrams of ascorbyl palmitate. Olive leaf essence involves the components of the olive leaf as concentrated. So, while about 5 percent oleuropein is in 1 gr leaf, this rate is up to 20 percent in 1 gr olive leaf extract. Dried olive leaf extract containing 6 to 15 percent oleuropein is commercially available. The oils are digested in the innards not in the stomach. Homer’s olive oil, which he described as “liquid gold,” was produced with manual labour in the old days. 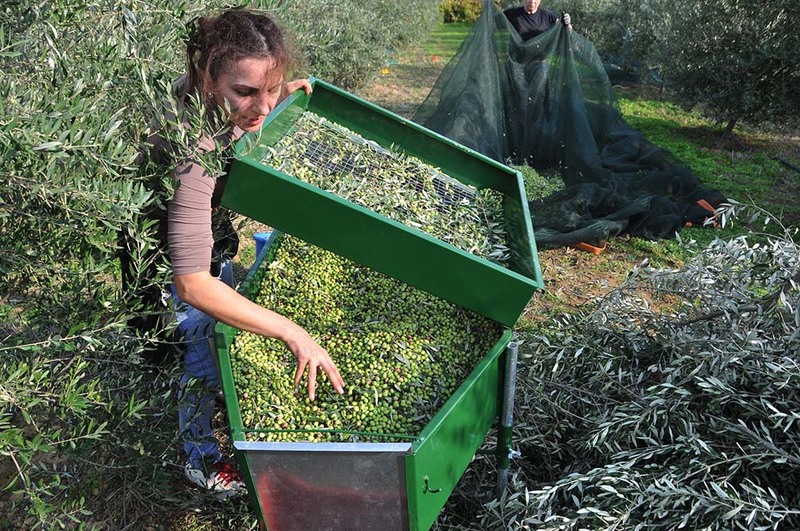 Olive harvested in autumn and winter are converted to oil in various ways at factories. The oils are digested in the innards not in the stomach. Olive oil is the easiest to digest in oils because olive oil, unlike other oils, does not reduce the stomach acids needed for digestion. In addition, olive oil helps clean cholesterol from the gallbladder too, and it prevents constipation and allows the intestines to work better. It has been shown that olive oil helps to prevent some diabetes-related conditions. Olive oil plays an important role in child nutrition as well. Olive oil contains a large number of antioxidant substances, especially vitamin E, so it helps to renew cells, and it can delay the aging of tissues and organs. Vitamin E in the olive oil has a protective effect against cancer and is also good against hair loss. Minerals such as calcium, phosphorus, potassium, sulfur, and magnesium and minerals such as iron, copper, and manganese contribute to bone development with vitamins A, D, E, and K.
Olive oil cleans LDL, called bad cholesterol, and raises HDL (High Density Lipoprotein). For patients with diabetes, blood sugar levels can be reduced. The earliest evidence for cultivated olive trees goes back to 40,000 BC, when excavations on the Island of Santorini took place. 1. Natural Oil: This oil is obtained from the olive tree fruit at a temperature that will not change its natural properties. Only mechanical or physical processes are applied. It is consumed as food in its natural state, with its distinctive taste and scent. Natural olive oils are marketed in two forms. a) Extra Virgin Oil: There is no defect in its flavor and taste. The free acidity grade (in oleic acid type) is at most 0.8 percent. This oil is ideal for all kinds of meals as well as salads. b) Virgin Oil: It has very slight defects in flavor or taste. The free acidity grade (oleic acid type) is at most 2 percent. 2. Refined Oil: This oil is obtained by refining olive crude with methods that do not change the structure of the raw oil. It has a distinctive color in different shades of yellow and has a unique taste and smell. 3. Riviera Oil: This is a mixture of refined olive oil and natural olive oils which can be consumed as natural food and this comes with a characteristic taste and flavor, changing color from green to yellow. The free acidity grade (oleic acid type) is at most 1.5%. Some people, who are not so accustomed to the vivid and strong smell of olive oil may prefer this type of olive oil. Be sure to include cities with major olive orchards into your travel itinerary. A full moon is the best time to watch olive trees, as the moonlight reflections can be magical, further illuminating the surroundings. If it is near harvest time, consider collecting olives with villagers for fun, and maybe you can find “çatal zeytin” which is hard to find.